Uses Kleenedge perfect edge tape which can be left in place for 14 days. Ideal for the masking of windows, woodwork, work surfaces etc. Kleenedge Tape & Drape 1.2 x 22m is rated 4.7 out of 5 by 19. Rated 5 out of 5 by Claggers from Very hard to find this product in u.k. I bought this to paint my summerhouse without getting paint on my new Indian sandstone surround. Liked the fact that the drape is folded in multiple widths and is quite strong. I have use a similar product in Spain as it’s readily available there but so had to track down over here unless you wait three weeks post from east Asia side of world. Thanks toolstation also for a lower, than some of your competitors, more sensible free post limit of over £10. Rated 5 out of 5 by MRFGP from amazing stuff! I have used other, German, versions of this tape-and-drape dust proofing but this is far better! Cheaper, longer and wider tape that does not stick so easily to the film so easier to apply. Brilliant stuff!! Rated 5 out of 5 by Steve 220 from Really useful item Have used this product a number of times when decorating. 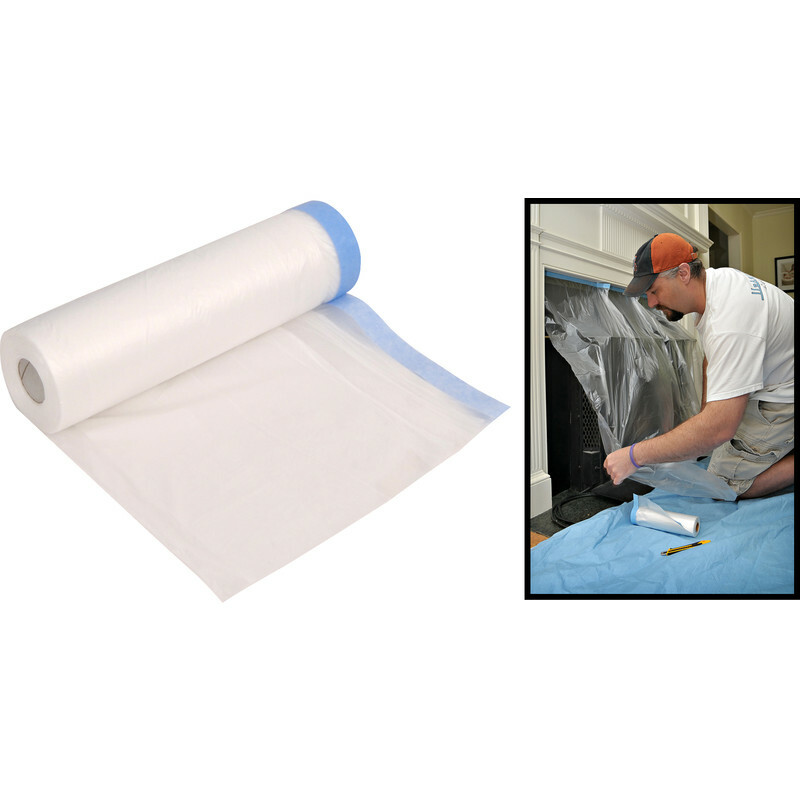 Ideal for covering fixed items like fireplace or kitchen units. Also used it to cover windows. Rated 5 out of 5 by JohnH52 from Very useful Great help when painting or spraying. Rated 5 out of 5 by Spiderweb from Good idea Wonderful product, excellent idea to make a mess of clearing up easy and simple.